Waffle Tunic Just $11.99! Down From $47! Shipped! 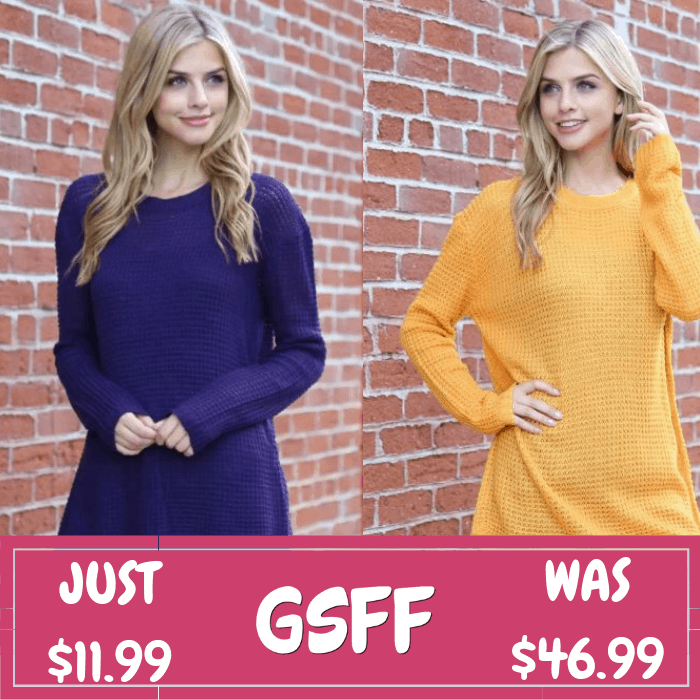 You are here: Home / Great Deals / Waffle Tunic Just $11.99! Down From $47! Shipped! This deal expires on February 4! Jane is offering this Waffle Tunic for just $11.99 down from $46.99 PLUS FREE shipping! This casual, everyday pull over sweater is sure to have your cold days covered. It is made of the trendy waffle sweater material and features a crew neck, long sleeves, and high-low hem. Pair along with distressed jeans and a simple tank top to flaunt your fashion-forward style.